Club 100 is proud to introduce you to Kelly Winter. You may see her around the gym from time to time, as she trains for her next obstacle race. 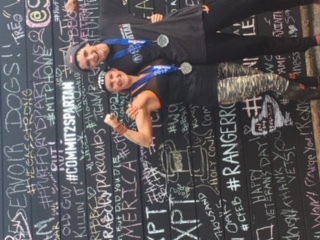 We asked Kelly to share her journey with us and how she balances life and being an Elite Spartan Woman and Tough Mudder competitor. Tahoe Club 100 Training Center is proud to introduce you to Kelly Winter. You may see her around the gym from time to time, as she trains for her next obstacle race. 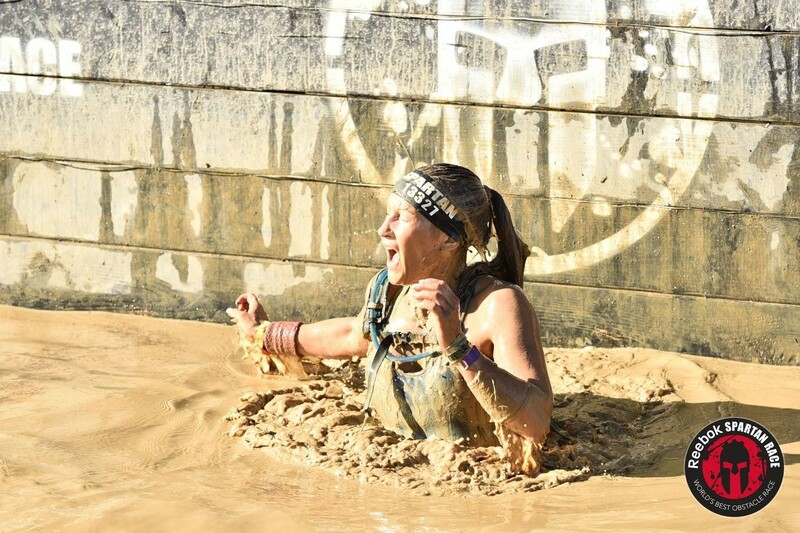 We asked Kelly to share her journey with us and how she balances life (mom, wife, career, friends, family…..) and being an Elite Spartan Woman (placed 7th as an Elite Women in an UltraBeast at the Spartan World Championships) and Tough Mudder competitor (placed 9th in the Regional West Tougher Championships). 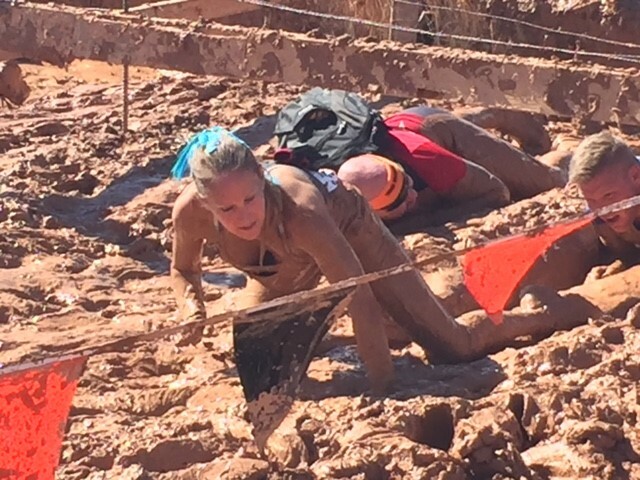 There is so much to understand about obstacle course racing and training for it and Kelly is going to dive into it and give us the dirty details, so stay tuned for more from Kelly as we follow her on her racing adventures. Who I am depends on the time of day or who is asking. I am “Mom” to two beautiful boys ages 9 and 13, “Yes Dear” or “Babe” to a wonderful husband of 15 years, “Mrs. Winter” to my high school students, “Elite Spartan Woman” or “Mudder” on a race course, and a 37-year young “Kelly” to everyone else. I am a woman who has gone through countless challenges, trials and tribulations, and has found fitness to be the passion that simultaneously keeps me grounded and allows me fly. In order to be a teacher, mother, wife, daughter, sister, friend, and high-performing athlete, I have balance. It is of upmost importance to me that I do each of those jobs well. We all have things we claim not to have time for, and there is some truth in that. I don’t have time to do it all. I do have time for the things that matter the most to me though, and I think we all do. It matters to me that I bake fresh cinnamon rolls on a Saturday morning when my children ask for them, that I prepare my students for success, that my husband and I spend time together, that I can be there for my family when they need me, that I have food in the fridge and clean laundry for everyone to wear, that I have time for friends, that I eat healthfully 80% of the time, that I keep pushing my physical limits, and that I still have time for a nightly glass or two of wine and a full 8 hours of sleep. How do I do all of that? I have learned to budget my time and energy. I have trained myself to turn off one part of the day when time is up, and focus my energy on the next part. If I didn’t finish all I had hoped to accomplish, I will work on it more when I’m allowed the time. I have learned to prioritize and be efficient. If there is something I can’t turn off when the time is up, like maybe having a particularly rough interaction with a student, I use it as fuel for a workout, and find that the frustrations are replaced with endorphins. You can’t make me upset after a good long gym session or hard run on the Rim Trail. So do I always get every load of laundry folded within the day, have a piping hot dinner ready every night, grade a worksheet that was due yesterday, or make sure the porch is swept? No way. That would mean I’d have to cut out the only part of the day that is about me. Health and fitness are what keep me sane and able to juggle the rest of the balls in the air. I have learned to be okay that I can’t do it all and that finding balance is empowering. In 2015, I began my adventures with OCR (obstacle course racing). I was at a pivotal point in my life where I had some tough facts to face about myself and my family. Stress was at an all-time high, and I was in need of something to direct my focus. I signed up for a Tough Mudder and a Spartan Super, both advertised to test my mental and physical limits. I didn’t know it at the time, but these two races would be the beginning of an incredible journey of self-discovery. My first Tough Mudder was crazy-fun. They weren’t kidding when they created the name of this race. It was tough, and it was muddy. It was also a ten mile course filled with people from all walks of life who are out there to push their own limits. We were faced with obstacles that tested fears of heights, small spaces, waterboarding, ice water immersion, and electric shock. The camaraderie and excitement as we all worked together through the course was unlike I’d ever experienced, and I was hooked. 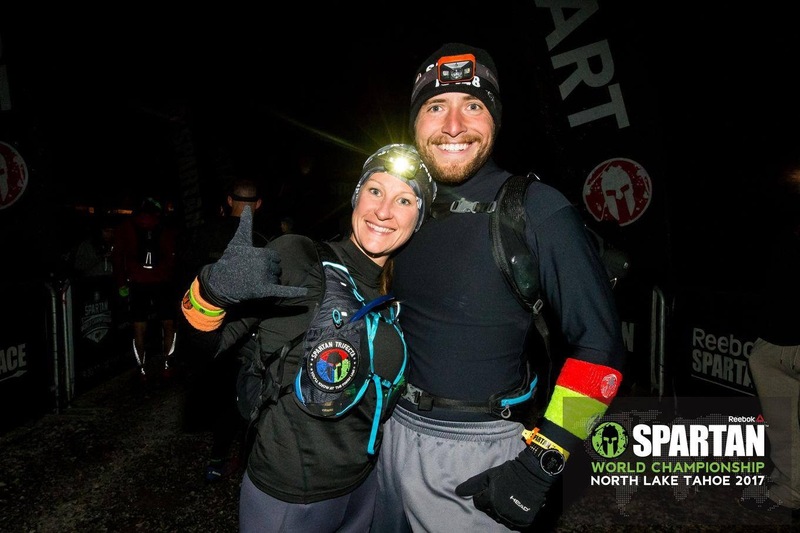 Three weeks later, I ran the Spartan Super. Unlike Tough Mudder, a race with no timing chips or penalties for failure of an obstacle, Spartan races are competitive. Everyone out there is having a great time, and camaraderie is high, but Spartan tests your physical strength and stamina, cares how fast you are, and will punish you for failure (30 burpees for each failed obstacle). Sounds great, right? Pay a lot of money to suffer for a couple of hours for a free beer and t-shirt? Probably the most famous of Spartan’s sayings is, “You’ll know at the finish line.” Yes, you’ll know. Each racer walks away a different person than before the race began, and it takes running it yourself to know what you’re promised to know. “You’ll know at the finish line.” Yes, you’ll know. Each racer walks away a different person than before the race began, and it takes running it yourself to know what you’re promised to know. In the time since my first race in the fall of 2015, I have become an Elite Spartan as well as Tougher Mudder. Both of these titles mean I compete at a more extreme level than most. Elite Spartans can receive no assistance from other racers or medics, and have added rules to obstacles that increase the level of difficulty. The athletes who run at this level are some of the biggest beasts and badasses I’ve ever met, and though I run each race to push my own personal limits, it is also a constant goal to keep up with these inspiring men and women. My biggest accomplishments this season were at the Spartan World Championships and the Regional West Tougher Championships. 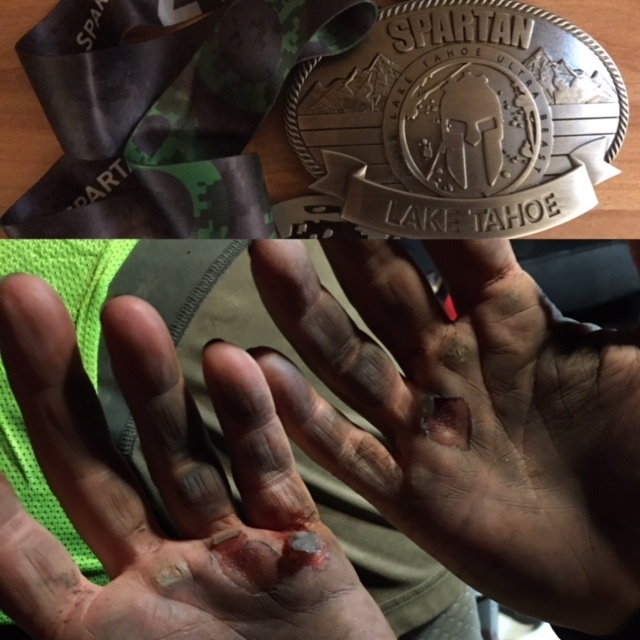 At the Spartan Championships, I ran my first UltraBeast. Advertised to be “26+ miles and 50+ obstacles,” this particular race was 34.9 miles and 78 obstacles (so this means I’d be completing my first marathon in the first 75% of the race). It was also at Squaw Valley Ski Resort in October, which meant a frigid 22oF start time temperature. Swimming in the 44oF lake at the top of the mountain before the sun comes up, repeatedly carrying your own weight in sandbags or buckets of rocks up and down ski runs, and throwing a spear into a hay bale that sends most to the Burpee Zone is not exactly what many would care to do on a cold Sunday morning. At the start line next to Cole, the guy who talked me into this crazy race I couldn’t have ever guessed I’d attempt, the officials announced that statistically less than half of us will finish. He gave us the time cutoffs to keep ahead of, and wished us luck. I finished the race a little bloody, fairly bruised, and very cold. Out of the four other racers I knew on the course, only two finished, and I watched as many more walked off the course in defeat, gave up at the transition zone at mile 18, or didn’t make the time cutoffs and were forced out of the race. The “less than half of you will finish” was very real. After receiving my free banana and beer, officials checked for any possible disqualifications and then awarded me my first buckle and told me I placed 7th in Elite Women. My goal was simply to finish what seemed like the impossible, so it was icing on the cake to learn I had held my own in ranking too. Later in the fall, I also ran a Tougher Mudder followed immediately by a Tough Mudder (why run only 10 muddy miles when you can run 20?!). As I stood at the start line, I learned I was actually at a Regional Championship Tougher Mudder. That’s a nice little surprise! TV crews were out as I stood next to some of the top OCR athletes in the world. I also heard the official at the start line tell us that the top ten women and top ten men at this race would be automatically entered into the Tougher Mudder World’s Championship the following weekend. I thought, “Well that’s kinda cool. Maybe I’ll try to be a little more competitive today.” I ended up 9th place and was given a place on the start line of the World’s Tougher Championships. Deflating way to end this story though: I didn’t go. I had too many family obligations. It’s all about balance, remember? I’d be lying if I said it didn’t bother me, but there’s always next year.